Traveling on a plane around the holidays can be pretty stressful, especially if you're not a particular fan of flying as it is. 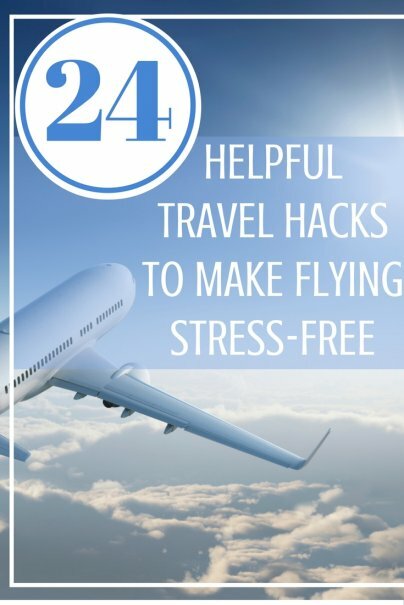 If the bumps on your flight make you anxious — or worse, sick to your stomach — then follow a few simple tips that real flyers gave us on how to have a stress-free plane ride and travel experience in general. Try these tips and some , and you may even end up looking forward to your flight! Pack completely the night before so that you can get a good night's sleep without worrying about last-minute details. Get to the airport earlier so you aren't stressed out about time. Read plane crash statistics and facts, because, statistically speaking, crashes are extremely rare. Remind yourself that it's safer to fly than to drive, and research why you shouldn't be afraid of turbulence. Once you board the plane, do your best to get comfortable immediately. Adjust the air conditioning, have a snack or some water, read a book or magazine, take deep breaths, and try to relax. Consider taking Dramamine or an antianxiety medicine that may help you sleep. If you're sleeping, you can't be nervous! Sometimes flying during the day (when possible) is less stressful because it can lessen the feeling of being closed in, which tends to be worse in the blackness of night. If you are a really nervous flyer, then try striking up a conversation with a stranger and let them know that you are nervous. This can be a good conversation starter and a useful distraction — especially during takeoff. Even if the plane hits turbulence during the flight, that person can help reassure you. Imagine the plane landing safely on the ground every time you're nervous. A preflight cocktail (and if necessary, a midflight cocktail) can be helpful. Especially when traveling over the holidays, always expect delays. That way, you aren't stressed out, upset, or surprised when they inevitably happen. In fact, when and if your flight takes off on time, it will feel like a pretty big victory. Listen to calming music that will help you relax and sleep. If takeoffs are what cause you the most anxiety, find a good podcast — something with a calming voice or something funny — and turn it up loud enough to drown out surrounding noise (but not loud enough to drive your neighbor nuts! ), or play a game on your device that requires all of your attention (preferably with a timer) so that you can't look away and don't even notice the takeoff. Use noise-canceling headphones to block out noises and distract yourself with books, music, magazines, podcasts, movies, or TV shows. Wear something around your wrist that you can jangle, pull, or snap, which can distract you just enough to get through the takeoff or turbulence. Think about the fact that all the flight attendants in the plane fly nearly every day, and they are all perfectly fine. If you are prone to motion sickness, drink ginger ale or eat ginger chews to soothe your stomach. Sometimes the coolness and freshness of mints, mint gum, mint tea, or Tic Tacs can help relieve some nausea. Chewing gum can also help, but avoid sugarfree gum, which can upset your stomach. Cinnamon gum, like Big Red, is a good option. A motion sickness band uses acupressure to stimulate your body's ability to fight off nausea. Avoid any kind of reading, including any phone applications, when taking off and landing and during periods of turbulence. Make sure to stay hydrated and avoid alcoholic beverages or coffee. Try taking Dramamine about an hour before you will be on the plane. If the takeoff, landing, or plane ride is bumpy, keep your eyes on the horizon so that you're focused on a fixed point. For the 12 hours before you'll be traveling, stick to simple, easy-to-digest foods, avoiding lettuce, nuts, and any kind of dairy. Try taking deep breaths, which will help to relax the muscles that tend to contract when you're feeling sick. Pack a portable fan! Keeping yourself cool can do wonders for motion sickness.